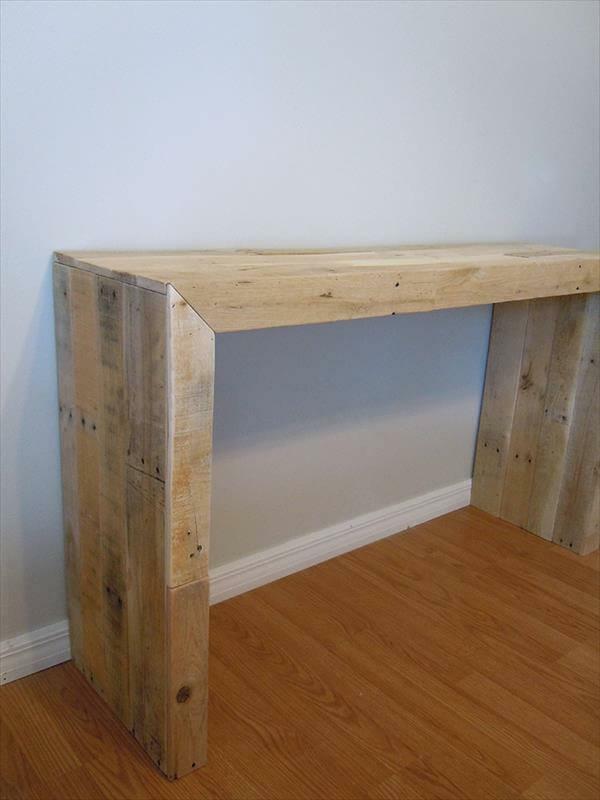 We have gone through this amazing and delightful manufacturing of DIY pallet console table to accomplish certain home needs and purposes out of it. 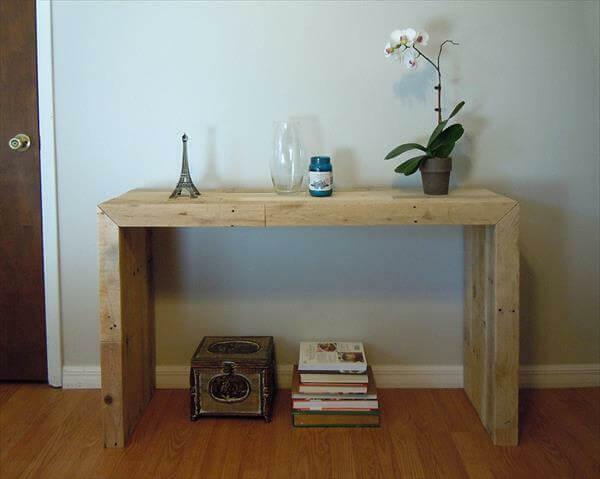 This table can also be the fully lush and charming sofa side table in your living room. 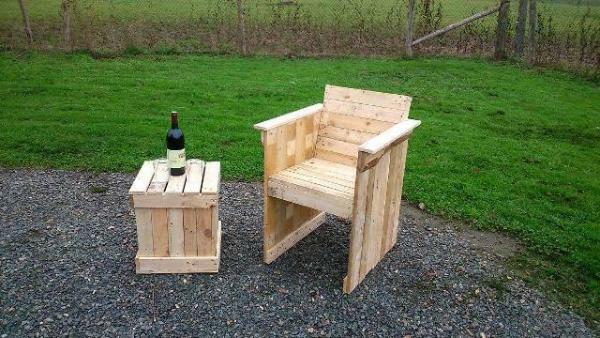 We have also opportunity to use it as end table in every room layout of your mansion. 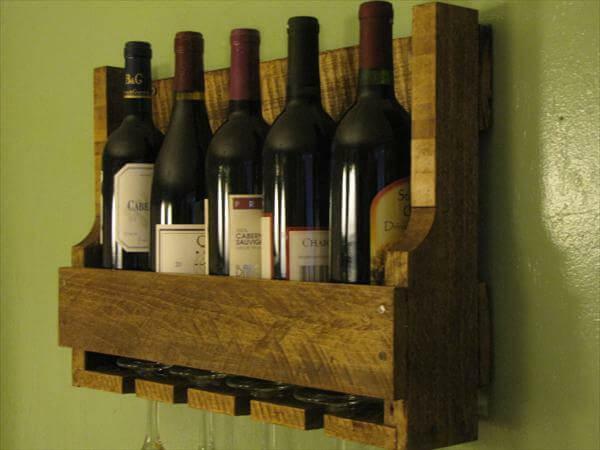 The construction is very clear in dimension and quick to compel you to try this at home. 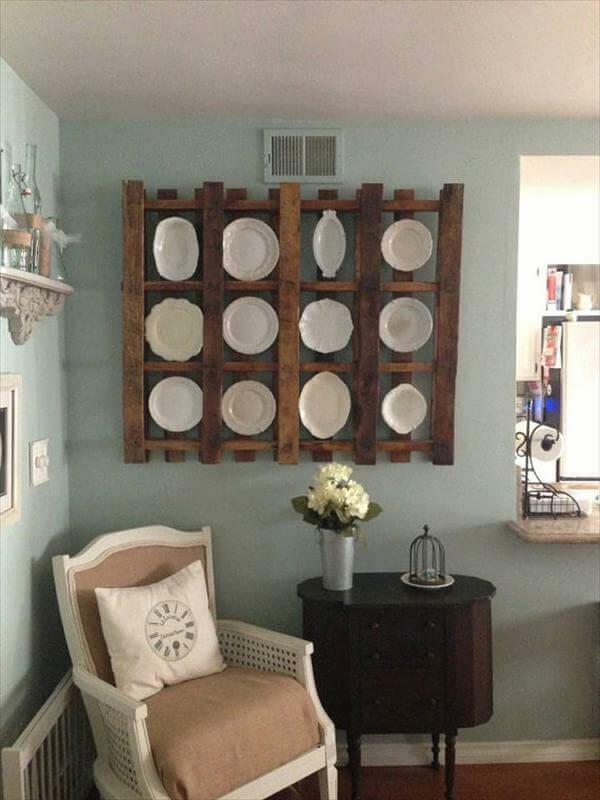 You just need to have your hands onto it, the pallet wood which can easily be found in home surroundings, home leftover material or directly from a DIY store with much less charge on it. 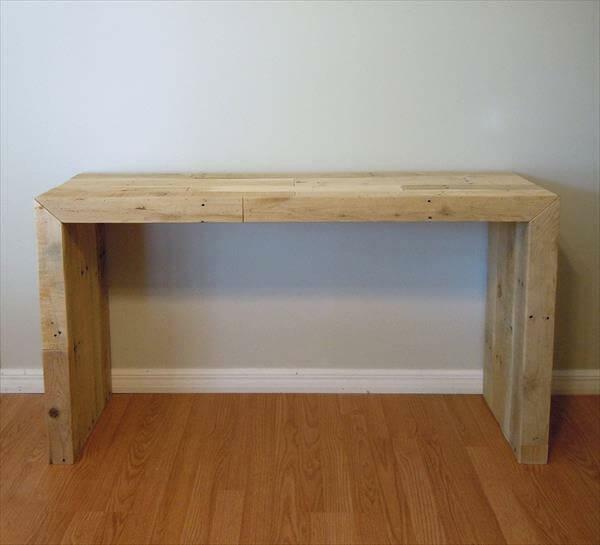 This multiple purposes home need is in approximate dimensions of standard adopted model and version you can give each measurement desired length and measurement according to targeted area. 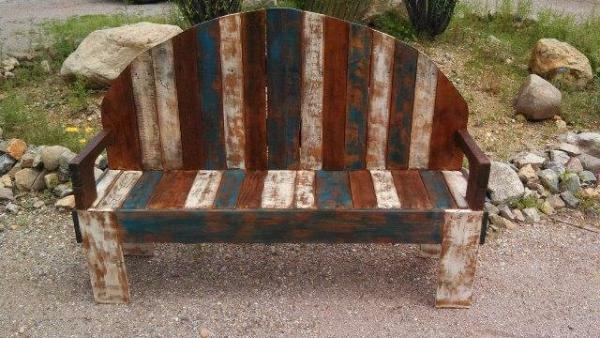 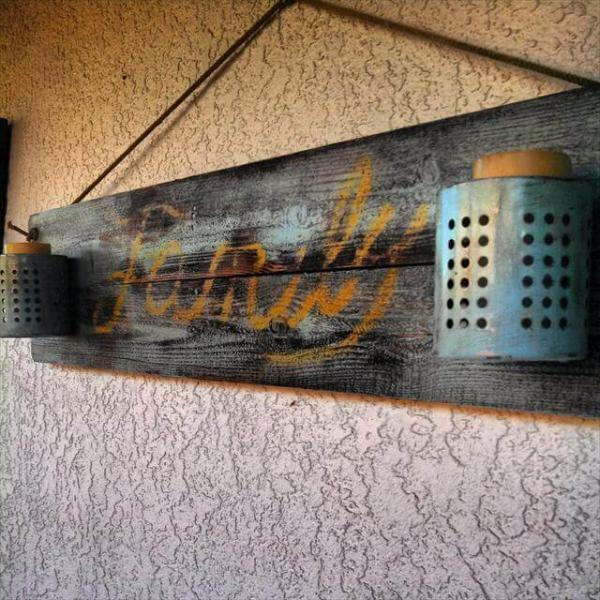 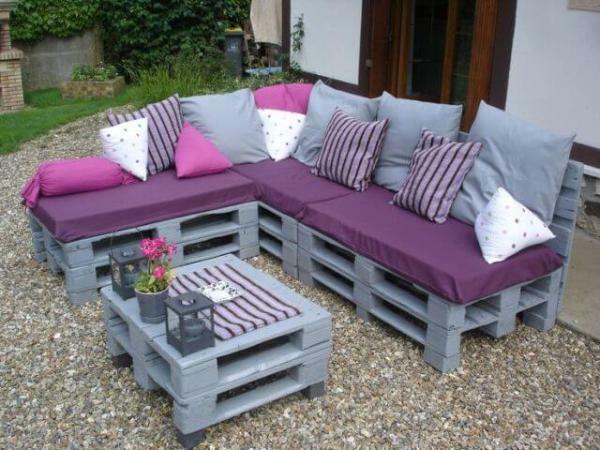 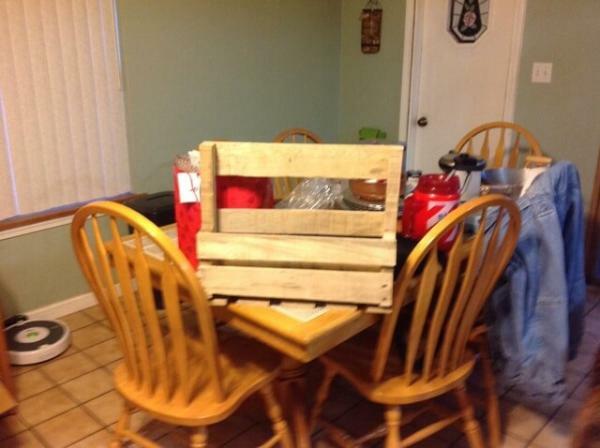 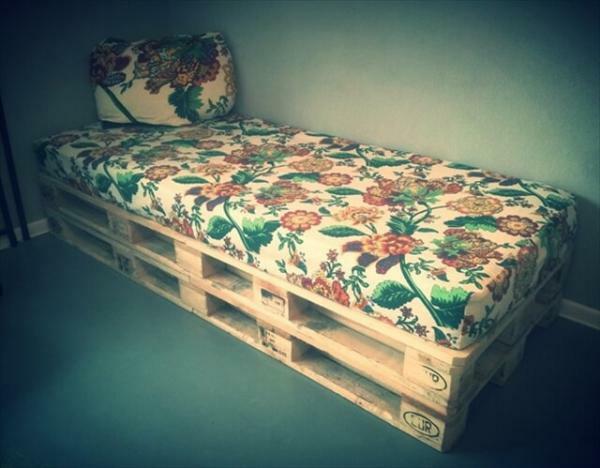 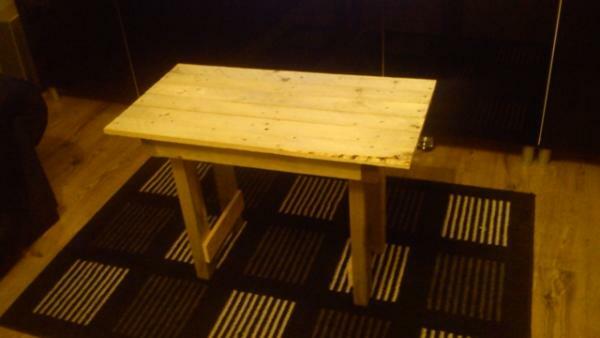 This highly achieved recycled pallet delight can be used in multiple characters for different home table needs. 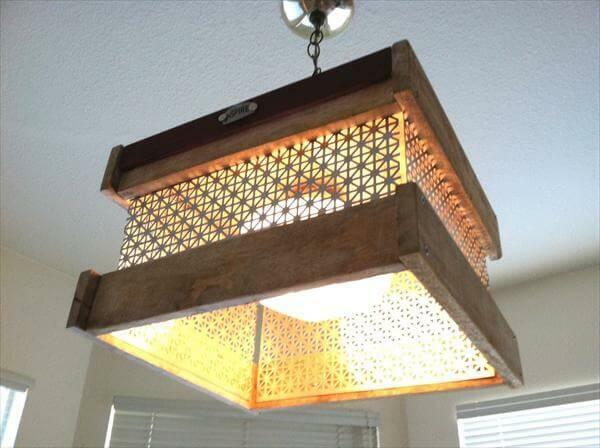 We have used a medium grit sand paper for throughout hand sanding for wooden graceful glow.